20s, 40s, 60s… Does it really matter? Asos dresses are just brilliant. Whichever your taste is, you won't be disappointed. Now that we're heading to a couple of parties, is not a bad time to start thinking about what we can possibly acquire. 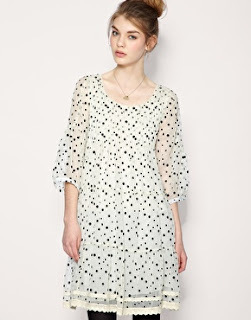 I'm really into the 'romantic/bohemian' style lately… so these dresses are really an inspiration! To be honest, I'm still doubting where to buy my Christmas outfits … It's really stressful!